For the first time in three decades, a new company will develop and administer the state-required exams Texas students begin taking in the third grade. For the first time in three decades, a new company is poised to develop and administer the state-required exams Texas students begin taking in the third grade. 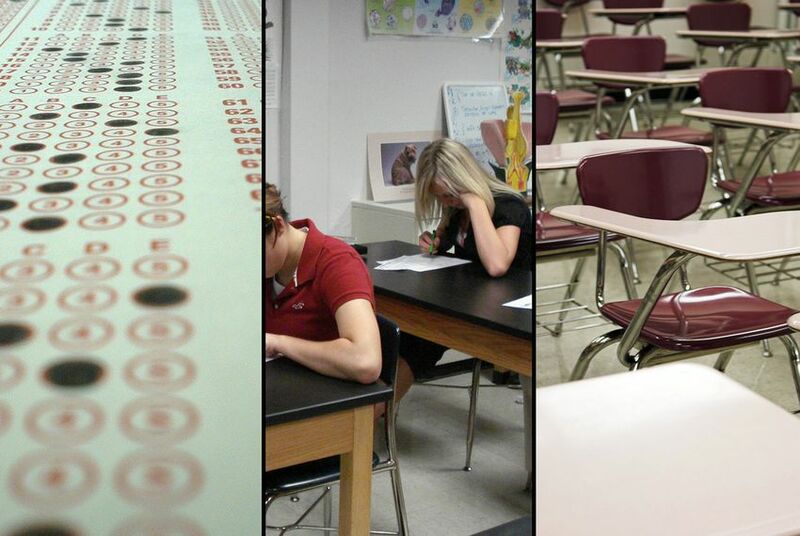 The state is in negotiations with Educational Testing Service, or ETS, to take over the bulk of the four-year, $340 million student assessment contract, the Texas Education Agency announced Monday. Company Vice President John Oswald said ETS is "privileged and honored" to land the work. Final contracts are still being negotiated. The London-based Pearson Education has held the state's largest education-related contract — most recently, a five-year, $468 million deal to provide state exams through 2015 — since Texas began requiring state student assessments in the 1980s. Under the new agreement, the company would still develop the state's assessments designed for special needs and foreign students. That portion of the contract is worth about $60 million. As the Legislature moved to reduce the state’s standardized testing program in response to widespread outcry from parents and school leaders in 2013, the state's contract with Pearson became the focus of much criticism. Many lawmakers, including former Senate Education Committee Chairman and now Lt. Gov. Dan Patrick, R-Houston, attacked what they viewed as the company's excessive influence in the policy-making process and called for greater scrutiny of testing contracts. In 2013, the state auditor concluded that the state education agency did not adequately oversee the contract with Pearson. At the time, Education Commissioner Michael Williams thanked the auditor's office for its recommendations, which he said would be put into effect immediately. Disclosure: Pearson is a corporate sponsor of The Texas Tribune. A complete list of Tribune donors and sponsors can be viewed here.